As a follow up to the “Hey Penny” release, Nike Sportswear is set to drop yet another kids exclusive Nike Little Posite One early February. This Nike Air Foamposite One features a clean White Foamposite shell with a matching leather and mesh upper paired with Black detailing. 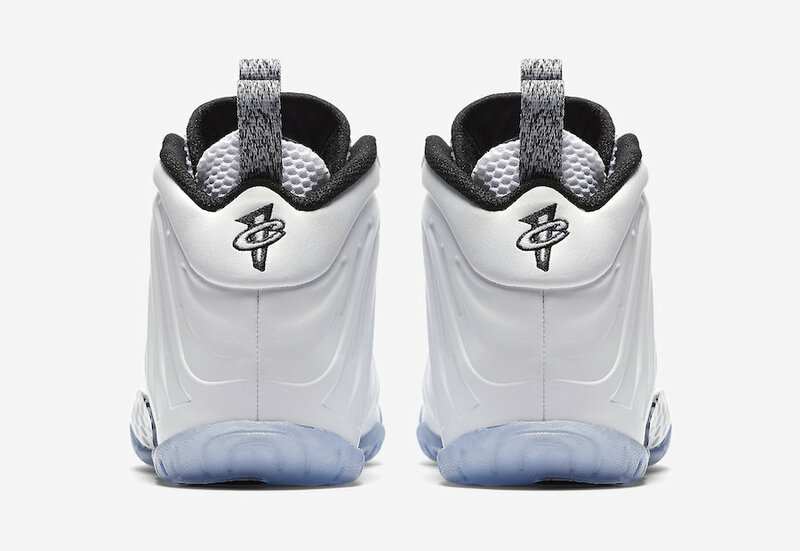 Both the pull tabs display hits of Grey which is completed with an icy translucent outsole. Look for the Nike Little Posite One “White Ice” to release on February 9th at select Nike Sportswear retailers. The retail price tag is set at $180 USD. UPDATE: Nike releases official photos of the “White Ice” Little Posite One.